Hi there, welcome my sweet friend! I'm Molly! I'm mom to Andrew (my 15 year old who constantly inspires me, makes me laugh, smile, he is the person I love most & another reason why I love what I do)! I’m a passionate artist, designer, business professional, and business owner who loves to dive into every opportunity by exploring a variety of concepts, creating a custom solution and strategy from start to finish resulting in a win-win for all parties involved. Not to mention I love sports and am a fitness fanatic!! 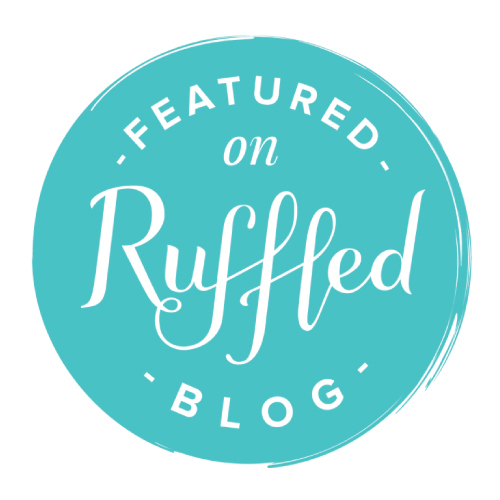 Sadie is also part of our family - she’s our fun, loving American Eskimo that loves to sit with me as I build plans, create arts & design for my clients. Here you will have a design experience like no other. I'd love to design with you, inspire, motivate, support you, grow with you, & be a stress reliever. Feel confident the hand crafted fine art & designs we create will reflect you, your story and your style for your wedding or special event. Our ideas are endless along with a wide variety of design offerings available for you. 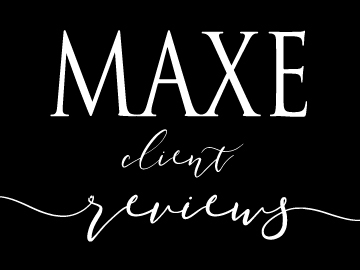 Here at MAXE Designs is where it’s truly ALL ABOUT YOU! 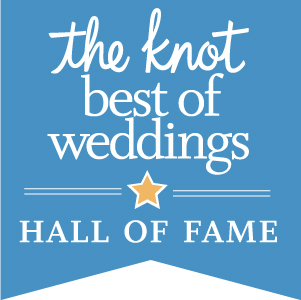 Your designs, you and your wedding, the one-of-a-kind fine art created only for your one-of-a-kind MAXE Designs or the designs we create from our MAXE Invitations Custom Line, the experience, the fun and more…all of it is about YOU! Click here to go to our One-of-a-Kind MAXE Designs details. Every Design tells a One-of-a-Kind Story...YOURS! 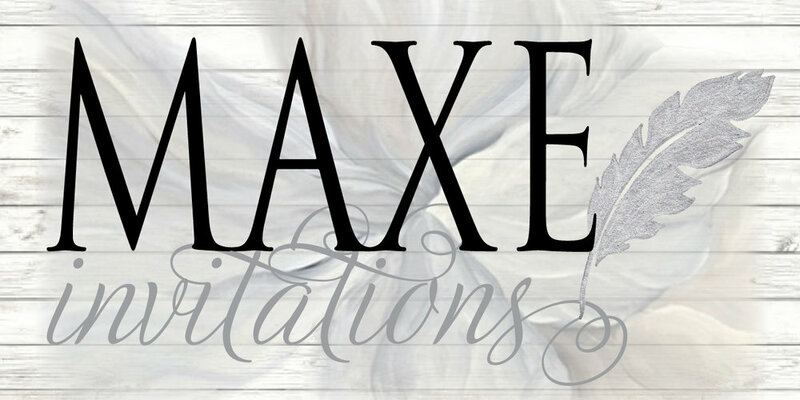 Our One-of-a-Kind MAXE Designs is where I specialize in One-of-a-Kind Everything - Fine Art, Bespoke Invitations, Stationery, & Designs that are used and created to reflect only you! Designs that are One-of-a-Kind like you & your story! Elegant, classic, artsy, clean, romantic, rustic, vintage - whatever your style is, is what I'll create only for you! I specialize in all art mediums and styles which allows me to mix mediums and play with different art & design ideas to create a style that is your own. Your designs will start in my sketchpad with a variety of art & design ideas - including custom wording, a variety of font styles, your wedding colors, original art created only for your designs, along with special touches to make your save the dates, invitation suite sets, and day of designs One-of-a-Kind just like you! When we are done designing for your wedding or special event, your designs will remain One-of-a-Kind. The art and designs we create will enter my Maxe Designs Hall of Fame and will be used for only you. Welcome to My Artist Shop!! Here is where you will find more of our passion for art, our love for what we do, our clients, what happens when we are inspired and just messing around with mediums - our gorgeous fine art will be available in a variety of finished print sizes. Woohoo!! Available in prints (both on smooth 100lb weight stock and watercolor paper), canvas sheet prints, or framed canvas (this is would be the wood frame behind a stretched canvas). We are finishing the final details, the collection, and will be sharing all of our gorgeous pieces that will be available during this coming week, the week of November 26th! You’ll have the opportunity to explore our Art Prize Collection, our MAXE Inspiration Collection, our home decor selection and more! Can’t wait! Your walls are calling my sweet friends! Click on our logo to go to our MAXE Invitations Details & Designs. I absolutely LOVE to create and am over-the-moon passionate about the One-of-a-Kind Fine Art Stationery & Designs I've created. Thanks to a great deal of inspiration, as well as another way to share my passion for loving what I do, I decided to take the fine art I've created and put them to use. By turning those works of art into completely customized invitations for happy couples and those looking to announce a special event, you'll be able to create a design that truly reflects you and your style. Our MAXE Invitations Collection by MAXE Designs incorporates original fine art designs that are ready for YOU, your changes, we’ll create new designs from the original, we’ll add your personalized wording, a font style or a few of your liking, your colors, and your style to each design. This is a completely custom invitation line that will be changed to reflect you and your story. The excitement and experience that happens while designing with each of my clients, for those I’ve created One-of-a-Kind Wedding Designs for, have inspired me to create a wedding & special event collection to complement your beautiful wedding or special event! Studio Be YOU is a community where we inspire, empower, & grow together as we strive to be Healthy, Happy, & Fit! Empowered - Fearless - Confident —— YES, you!! After many years, even decades (WOW! ), of being active, I took a look at what makes me happy in life & sharing my passion for being healthy & fit is one of them! I LOVE fitness, I always have! Studio Be YOU is a community where we inspire, empower, & grow together as we strive to be Healthy, Happy, & Fit! Empowered - Fearless - Confident —— YES, you!! I LOVE finding ways to inspire others (myself included) to get moving, keep moving and build a game plan to tackle our personal goals. 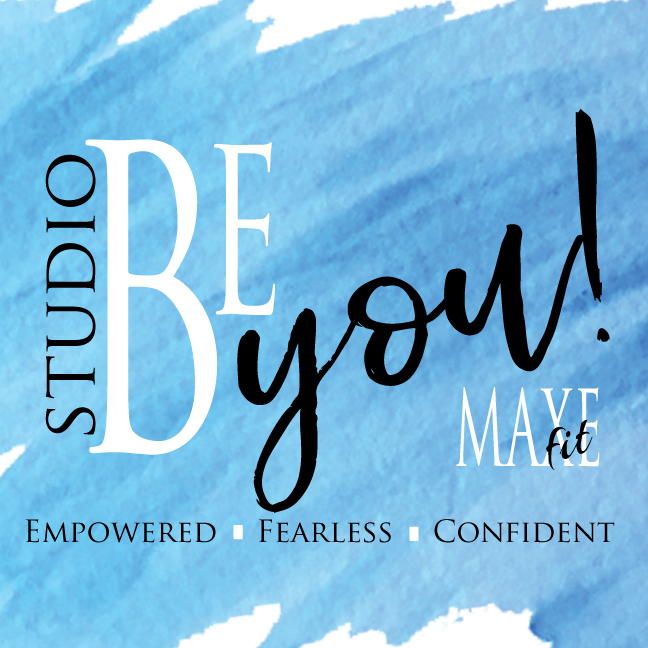 Studio Be YOU is where I provide personal coaching with nutritional support, options for a private virtual group challenges to help you ROCK your health and fitness goals! We'll do whatever you are comfortable with since MAXE Fit is all about YOU!